DGTL Festival took place at Amsterdam’s NDSM Docklands on 15-16 April and featured a huge stock of Funktion-One loudspeakers. 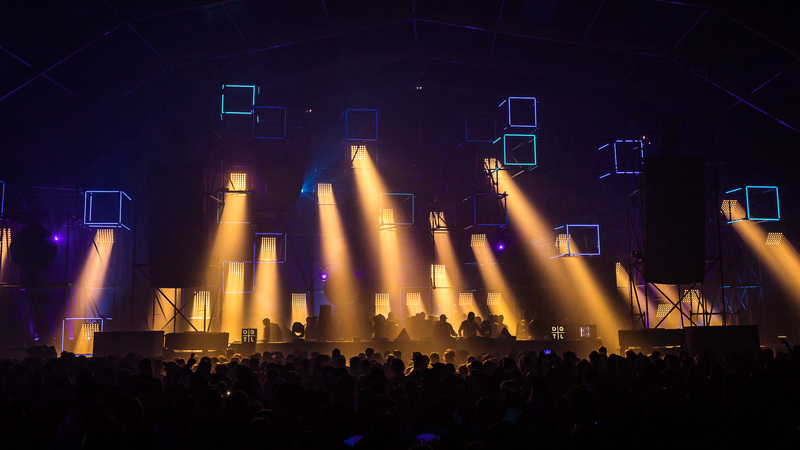 The site, which is a short ferry journey from Amsterdam Centraal train station, welcomed around 15,000 partygoers for two days of electronic music. The event prides itself on balanced programming. While other festivals hinge on large-draw headliners, DGTL combines those big names with local and international emerging talents. This year’s programme saw standout performances from the likes of Maceo Plex, Jamie Jones, Tom Trago (live), Jennifer Cardini, DJ Koze, and Joy Orbison back-to-back with George Fitzgerald. Such a strong focus on the musical output meant that there was also a big emphasis on the quality of the sound production. The organisers drafted in Think! AV to deliver Funktion-One loudspeaker set-ups for five of DGTL’s six areas. Area 1 (Modular) was home to a Vero system, featuring left and right hangs of two Vero V60 60-degree mid-high enclosures, three Vero V90 90-degree mid-high enclosures and three Vero V315 mid-bass enclosures. These flown linear arrays were teamed with 12 ground-stacked Vero V221 double 21in bass speakers. 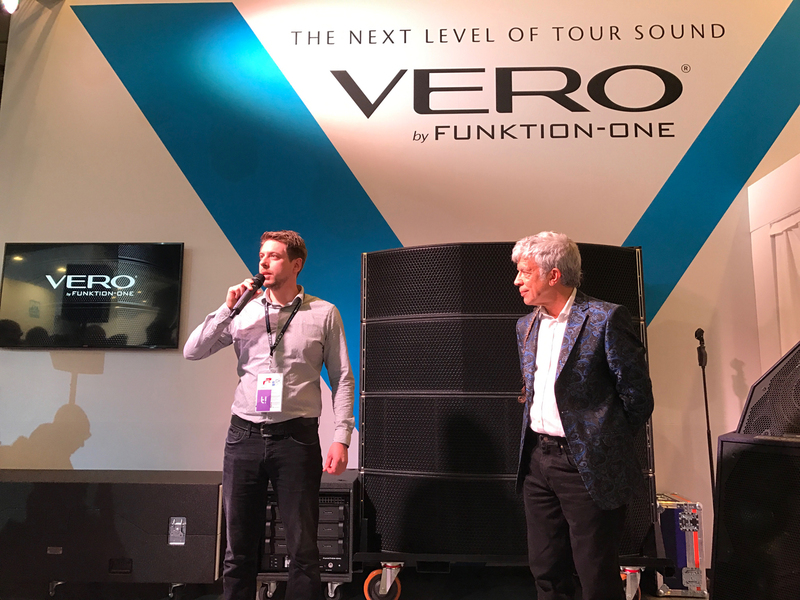 Two more Vero V90s and four Evo 7SH skeletal speakers were deployed as delays and infill. Onstage, the DJs were treated to a Funktion-One PSM318 monitor set-up. For Area 5 (AMP by Mosaic), Think! AV opted for a cutting-edge Evo set-up. It featured six Evo 7T full-range loudspeakers, six Evo 7TH mid-high speakers and six Evo 7TL-215 mid-bass speakers. Both the Evo 7TH and the Evo 7TL-215 are brand new additions to the company’s rental stock, following their launch at Prolight + Sound 2017 last month. A total of 12 Vero V221 double 21in bass enclosures made sure there was plenty of power in the low frequencies. Four Evo 6EH loudspeakers and two F215 bass enclosures were deployed for infill and a PSM318 DJ monitor set-up was used. Area 5’s VIP area was covered by four Resolution 2s and four F1201 speakers.